The shell middens on Saboga are the garbage dumps where the indigenous people threw out their trash. The variety of sea shells tell us a lot about their marine diet, and shards of broken pottery are mixed in with the shells. By 1530 – less than 40 years after Columbus’ discovery of the Americas – all the indigenous people on Saboga were dead of either disease or execution by the Spanish conquistadors. Without a local population, the Spanish had no way to harvest the pearls that gave the islands their name. So, they quickly imported slaves from Africa to do the pearl diving, and their descendants live here in the islands to this day. There are local fishing villages on Saboga, Pedro Gonzales, and three on Isla del Rey that are all home to descendants of the original slaves. By around 1860, the shallower, easier to harvest pearl oysters were already mostly gone, and divers were having to go deeper and deeper to bring up oysters. To solve the problem, Julius H. Kroehl, a German engineer brought his new invention down from New York. It was the world’s first true submarine, the ‘Sub Marine Explorer’, and it enabled divers to harvest pearl oysters at a much greater depth than they were capable of reaching on their own. The submarine used pressurized air to keep the water out so that divers could simply open the hatch at the bottom and swim out to collect oysters. Unfortunately, the eventual deaths of the entire crew, including the German inventor Kroehl, from previously unknown decompression sickness led to the abandonment of the entire venture and the submarine itself. It now rests just off the beach where they abandoned it on Isla San Telmo, and is exposed at low tide and is slowly corroding away. When the pearl industry finally collapsed due to over-fishing, the islands drifted into obscurity. The development of the cultured pearl industry in Japan in the early 1900s doomed it for good. Then the Panama Canal was built, and the Pearl Islands came under the protection of the United States Navy, due to the canal’s strategic importance. Several airfields were built in the islands during World War 2 so that spotter planes could search for Japanese submarines. It wasn’t until the 1970s that the first development was done in the islands since the Spanish arrived in 1530s. 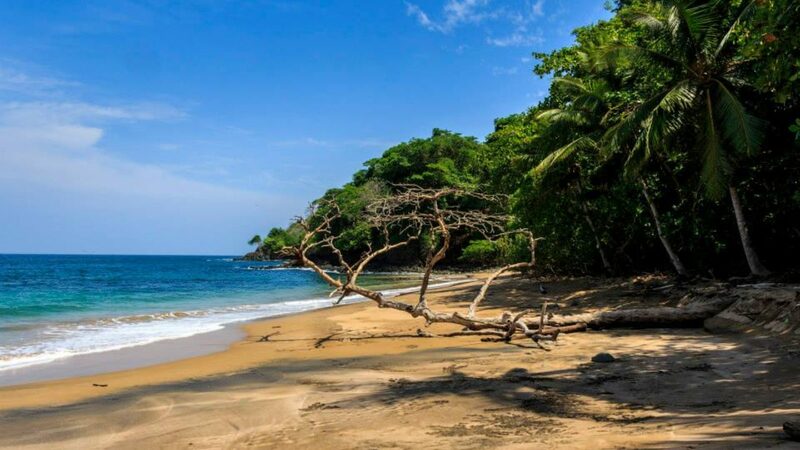 Isla Contadora was developed as an island for vacation homes for affluent Panamanian families and wealthy international jet-setters. Over the years many famous Hollywood actors and business tycoons have made Contadora one of their vacation spots.